This is kind of cool. Instead of bringing more paper and ink into the world, we are going to start using recycled paper scraps to print our DDG hang tags. I took my handy 50% off coupon to Michaels and bought a tag-shaped craft punch. I've been punching everything in sight! I had hoped it would go through cereal boxes, but it doesn't quite have enough power. It works perfectly in card stock. 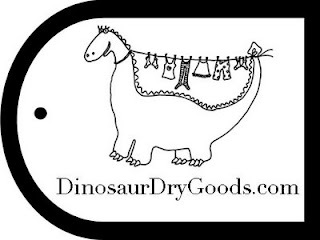 I'm going to order a custom stamp on etsy.com that has our logo and website.